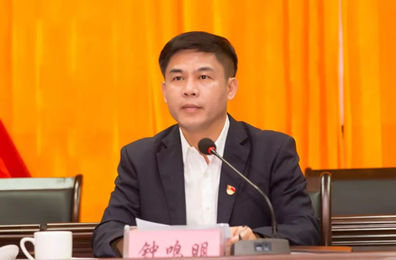 Zhong Mingming, the secretary of the CPC Wenchang Municipal Committee indicated that 2019 is the year to promote the deepening reform and opening up. Wenchang would focus on the government work report and the four key works. The first work would focus on the implementation,the opportunity of cultivating the "new three articles" of the high-tech industry of sea, land and air, which are cultivated by the Hainan Provincial Party Committee and Hainan Provincial Government, promoting the implementation of space city’s planning and project, starting the construction of the Hainan Wenchang International Space City. The second work would focus on the improvement, the business environment and ecological environment as the core competitiveness of Wenchang’s high-quality development,improving the efficiency of government services, developing the aspect of business environment, and the talents and industries. The third work would focus on the people’s livelihood, promoting the balance for development of urban and rural areas. Wenchang would help people become rich, focuse on the people's livelihood, exploring the comprehensive service innovation of "big communities" , eliminating the crime and banning the gamble and drugs. The fourth work would focus on strengthening the construction of the leadership. Implementation should be reflected in the efficient service. Wenchang would innovate the system, constantly changing the work style and enhance the executive ability, building a loyal and responsible team for our purpose.